These are the Top Synth Products at NAMM 2019 that intrigued me and stirred interest. So NAMM 2019 has settled and we have finally crawled up from under the pile of new products releases….or? In this video I talk about my favourite products (synths and controllers) from NAMM 2019. Synths and products that stirred some emotions. And a SECRET product that did not get as much attention at NAMM 2019. Watch the video to learn all about this exciting product! 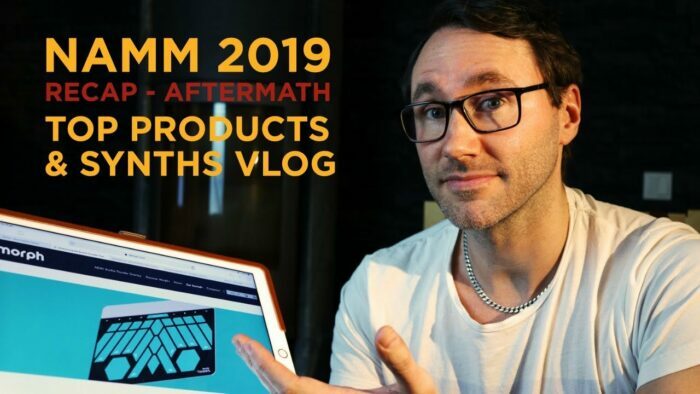 My Top Products at NAMM 2019 – Synth Vlog. Aside from all the hardware synth products at NAMM there are some new really exciting software updated that we need to check up! 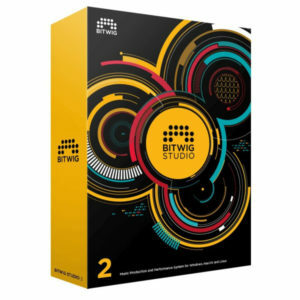 A few days before the show Bitwig announced a new modular device for Bitwig Studio. The Grid, which at first glance looks similar to Reaktor. 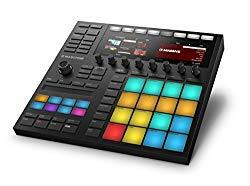 But now we get this kind of visual modular functionality right in the Bitwig DAW. This update brings a whole set of new sub-devices within The Grid to create your own modular synth and effect setups. I can’t wait to get my hands on this update and do a video review. Another great update comes from the colossus Spectrasonics in the form of Omnisphere 2.6. The two point six update will bring us more hardware synth integrations and tons of new features and presets within Omnisphere. Eric Persing explained that for every hardware synth they integrate, they also make sure to model the oscillators and include specific functionality (like special filters etc.) from the hardware synth into Omnisphere. There will be a full review video of Omnisphere 2.6 when it’s released, until then you can watch my review video of the most recent Omnisphere 2.5 version here. Here is another video about the best delay plugin for vocals in 2019 – Colour Copy from u-he. I made a thoroughly video covering this lovely virtual analogue BBD delay. It comes with six different delay flavours in the form of “colours”. 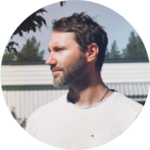 And they do sound delicate and I found the Colour Copy very useful on vocals, guitars, synths and any other sound I threw at it. Watch the video of Colour Copy delay plugin. Previous post Best delay plugin for vocals in 2019.